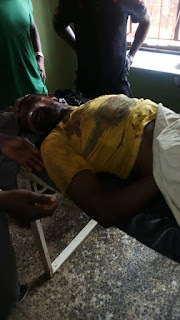 A Peoples Democratic Party (PDP) executive has been killed by suspected political thugs in Edo state. It was gathered that the deceased was the PDP youth leader before his death and was macheted to death in ward 10 area of Etsako East Local government area of Edo state. According to reports, , the PDP leader was killed after he had a brawl with some opposition supporters over tearing of posters belonging to PDP members. His corpse has been deposited in the mortuary and the police alerted of the situation.